At Physiotherapy III, we offer a range of services to reduce pain, speed up the healing process, and promote physical activity, from foot orthotics to acupuncture. These specialty services are offered in addition to our traditional physiotherapy approaches and have required extra training and experience from our physiotherapist, kinesiologists and registered massage therapists. If you live in Grey or Bruce County, please visit one of our three clinics in Owen Sound or Port Elgin to treat your pain and injury today. Vestibular Rehabilitation (VR), or Vestibular Rehabilitation Therapy (VRT) is a specialized form of therapy intended to alleviate both the primary and secondary problems caused by vestibular disorders. It is an exercise-based program primarily designed to reduce vertigo and dizziness, gaze instability, and/or imbalance and falls. Our specially trained physiotherapists offer the most current management of concussions from sport, MVA or injury. Techniques are available to reduce pain, retrain balance, improve vision, and guide return to activity based on the most current research. Baseline testing is available for all levels of athletes. Specialized physiotherapy for neurological conditions - Stroke, ABI, MS, Parkinson's, Spinal Cord Injury - provided at our unique Healing Waters Clinic overlooking Georgian Bay. Therapy is offered by our specially trained and experienced Neurological Physiotherapist: Dave Spence MScPT. Comprehensive one-on-one treatment is available to meet your individual goals and lifestyle. Small group classes are also offered. Whether you have recently been diagnosed or you are managing your condition for a while, your physiotherapist will work with you to optimize your movement returns, develop pain control strategies, provide education and teach you a most effective home program of activities to enhance your progress. We offer assessment and treatment services in our specialized, accessible clinic in a home-like atmosphere. With private rooms, specialized neuro therapy equipment, and a separate rest/wait room for caregivers while they wait, we are fully equipped to address the needs of those with a neurological condition. Our registered massage therapist, experienced in treating neurological conditions, practises from this clinic to provide more comprehensive treatment before or after your visit if requested. 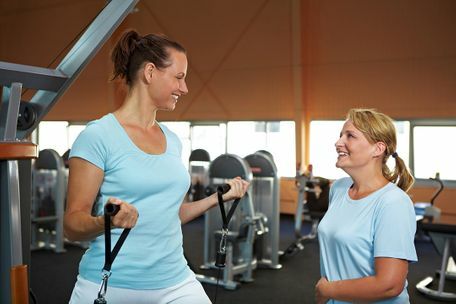 Our registered kinesiologist works with our physiotherapist to guide your exercises and customize a program to meet your individual activity goals. 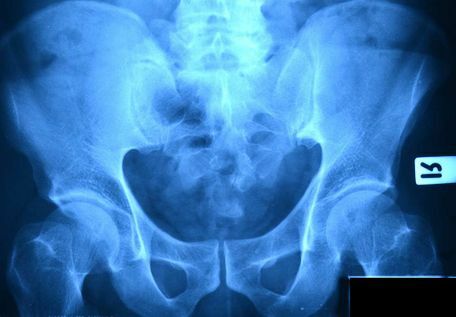 Women’s or men’s pelvic health physiotherapy. See our specialty trained pelvic health physiotherapist for a range of conditions: incontinence, pelvic pain, pre- or post-natal concerns, and post-operative prostatectomy. This private and confidential service is offered at our Healing Waters Clinic. We are pleased to offer RMT in all 3 locations. There are tremendous benefits to be achieved through regular massage therapy treatments from a registered massage therapist. Whether your need is to have a moment of relaxation, reduce muscle tension or attain relief from chronic pain, a therapeutic massage can enhance your overall emotional and physical well-being. Acupuncture is the stimulation, by insertion of needles, of specific points on the body which have the ability to alter various biochemical and physiological conditions. 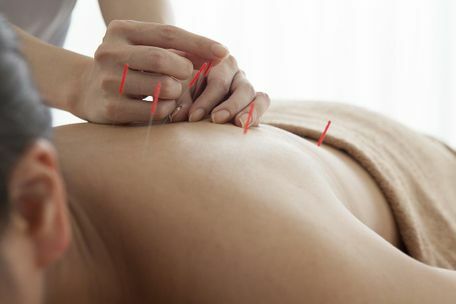 Acupuncture stimulates the release of endorphins, which are the body’s natural pain-relieving neurohormones. Acupuncture affects the functioning of the hormonal system, promotes a decrease in inflammation, increased circulation and relief from pain. Our Registered Physiotherapists have successfully taken additional training in acupuncture and are rostered to perform Acupuncture with the College of Physiotherapists of Ontario. Physiotherapy III is proud to offer custom knee bracing solutions from Ossur and DonJoy. 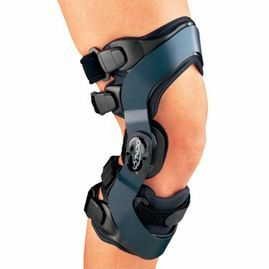 Custom braces are constructed to help with ligament injuries or osteoarthritis. These braces are created using detailed leg measurements and a computer scanning system. Most extended health plans will cover some or all of the cost of the custom brace. However, we recommend speaking with your insurance company. If required, we can give you a written estimate to submit to your insurance company for prior approval. 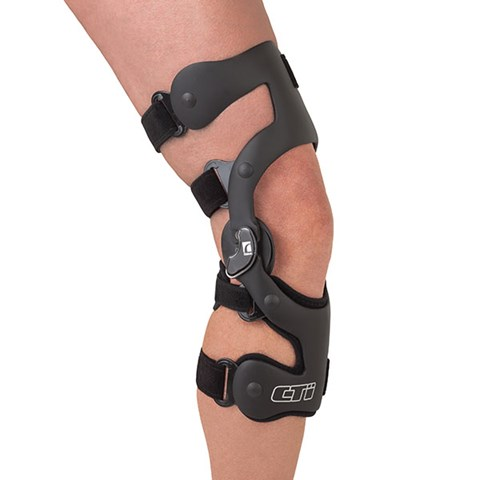 Knee braces: CTi, DonJoy and Omni - measured on-site and fit on return by an experienced physiotherapist. 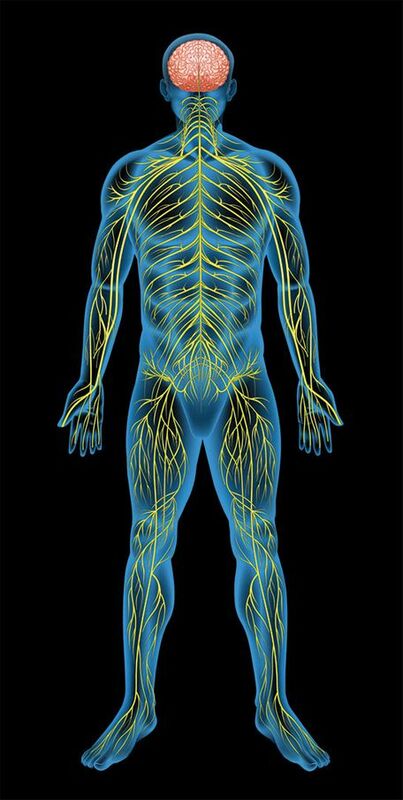 Our feet disperse a large amount of force while we move about our daily lives. Structural abnormalities can significantly limit our ability to participate in activities. 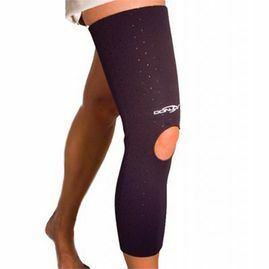 At Physiotherapy III, we are pleased to offer custom orthotic solutions by working in conjunction with Farrow Orthotics. First we complete a thorough foot, knee, hip and gait assessment to determine if orthotics are appropriate for you; if appropriate, we make a 3D impression of both feet. The impression is created and a custom orthotic is manufactured. Most extended health plans will cover some or all of the cost of your custom orthotics; however, it is important to inquire with your insurer. In addition, your insurance company may require a referral from a physician. 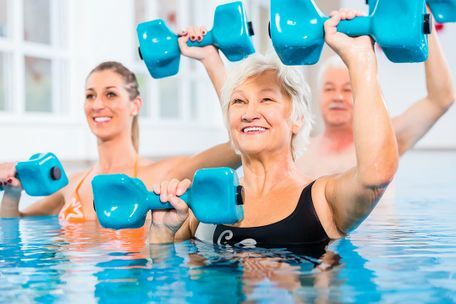 Join our registered kinesiologist for a therapeutic exercise program at the YMCA warm water pool. If you experience osteoarthritis, fibromyalgia, have had recent surgery, or any recent injury that makes land exercise difficult, this individualized exercise experience may help restore flexibility, strength and general well-being. This program is often set up along with regular physio sessions to get you back to your activity sooner. Our certified ergonomist/registered kinesiologist is trained to assess your work station and its fit with you to provide optimal comfort. 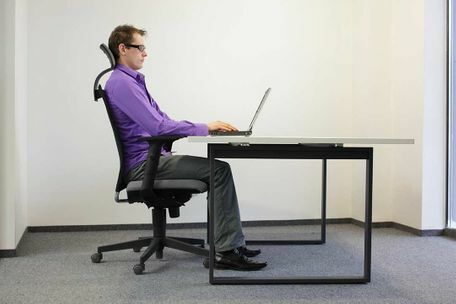 Proper ergonomics is proven to reduce repetitive injuries, allow return to work more easily after an injury, and to increase workplace comfort and productivity. A comprehensive analysis of the current work station and worker, including pictures and measurements, is conducted and recommendations are made with ergonomic principles in mind. These recommendations may include work station repositioning, work station redesign, and equipment changes or additions. A formal report is developed if needed. New program of exercise available in a small group setting (4-6 people) at our Healing Waters Clinic. This program includes exercises for cardio, balance, upper and lower extremity strength and is led by our neuro registered physiotherapist and registered kinesiologist. Call for more information and to register for our next program. 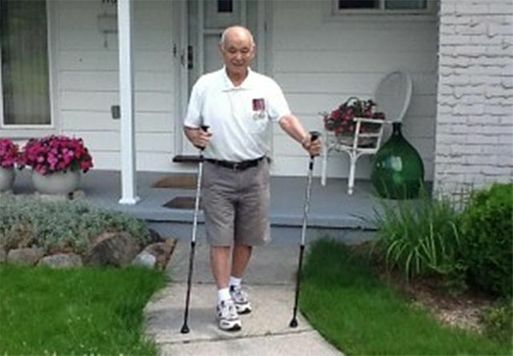 Join us at Healing Water and learn how the ACTIVATOR poles have been shown to help people with Parkinson’s improve motor skills, balance and gait quality. Targeting those in the early to mid-stages of Parkinson’s who are able to move about independently. Come enjoy the small group setting under the supervision of a registered physiotherapist and registered kinesiologist. Includes assessment with physiotherapist and will include 1 class per week for 8 weeks. You can purchase ACTIVATOR poles at our Healing Waters clinic. The price includes a custom fitting. We offer physiotherapy education using a small-group format that will provide insight and teach you strategies to deal with your persistent/chronic pain. Our education program is based on the most current evidence-based information. Our registered kinesiologists will design an individual program for your home or community gym and assist you in starting up safely. They will also help you to develop a custom program that eases the transition from your rehab program to a public or in-home gym. We are certified in TMJ therapy to treat symptoms of jaw pain, headaches and tinnitus. Often the jaw and its muscle groups are a source of face, temple or headache pain. We will perform a thorough analysis of the jaw and neck to help you reduce pain and jaw clicking. Our new ‘Physio for Kids’ program starts in early March, 2017. Call now to reserve your consultation. Physiotherapy is a great way for everyone to improve movement and build motor skills—including children. It not only helps promote physical abilities such as sitting, standing and walking, but it also gives them a big boost of confidence. For children with developmental delays, having an active daily life may come with its own obstacles. At Physiotherapy III, our experienced pediatric physiotherapist helps children break through their motor challenges, resulting in a more active, physically independent life. There are a multitude of reasons for a child requiring physiotherapy, such as: pregnancy or delivery concerns, prematurity, cerebral palsy, Down Syndrome, hypotonia, global developmental delay, muscular dystrophy, or torticollis. Physiotherapy is a primary team player for children who are going through or recovering from cancer treatment to maintain or restore muscle strength and function. Similarly, children who have had surgery, extended bed rest, or experience fatigue as a result of an underlying medical condition can benefit from working with a Physiotherapist to maintain their physical abilities. We can create a custom program for your child to help them reach their full potential.